Diamonds are pure carbon that have undergone extreme high temperatures and pressure below the Earth’s surface. 58 times harder than any other mineral on earth, a diamond can be cut only with another diamond. That’s why some medical and industrial blades and bits are coated with diamond particles so they can cut or grind anything. Even the word diamond comes from the ancient Greek for unbreakable or unalterable. This toughness along with clarity and beauty are why diamonds became a symbol of lasting love; hence an engagement gift. As early as 4 BCE, according to some historians, diamonds have been treasured, traded, and worn as adornments by men and women. They are not really as rare as the diamond manufacturers would have you believe, but we are not going to get into the politics and ethics of diamond mining in this blog. 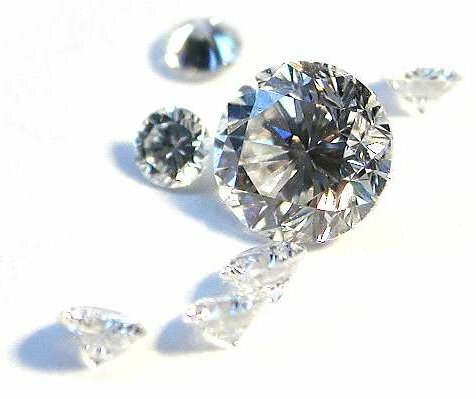 Since about the mid-20th century, diamonds have been rated by the 4Cs: Color, Clarity, Cut, and Carat Weight. I was surprised to find that this rating system is relatively new compared to the history of mankind and its fascination with sparkly gems. 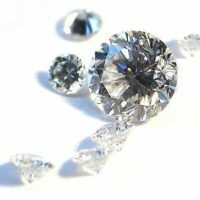 We usually think of a clear stone when we think of a diamond, but naturally-colored diamonds do occur, and because they are rare, they are actually more valuable than a comparable clear diamond. Diamond colors range from clear to yellow, red, pink, blue, and green. Often colors are enhanced in a lab (“color-treated diamonds”)—but they’re still diamonds! As a quick aside, a Herkimer diamond is not a diamond at all. Click here for some info on those. **Lightning-struck sand can produce glass, which is clear like diamonds; perhaps this was the reason folks thought diamonds were lightning on earth. Fulgerite, another result of lightning striking sand, doesn’t look anything like diamonds or glass. Moldavite, yet another lightning/earth combo, looks like green glass. 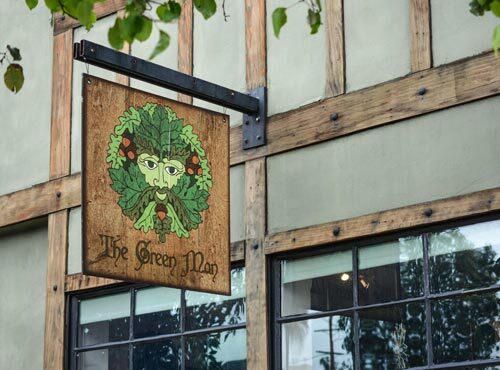 *Please note each Blog is the unique expression of the Blogger and does not speak for The Green Man as an entity, but rather is one of the many diverse colours that make up our Green Man Tribe.